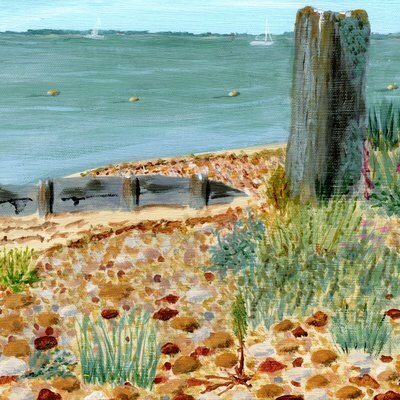 This image of the sand spit at Norton, Yarmouth is one of my ventures into acrylic work. My usual paintings are in the botanical style and I realise that my eyes will eventually not let me carry on with this for ever so I have ventured into other fields. Not always succesful, I am still practising but having a lot of fun at the same time. This scene brings back memories of days spent on this beach as a child with picnic baskets and a trudge back to the bus stop to get home. Born on the Island, working here, on the mainland and at sea, I returned to the Island in 1989 to train in nursing. 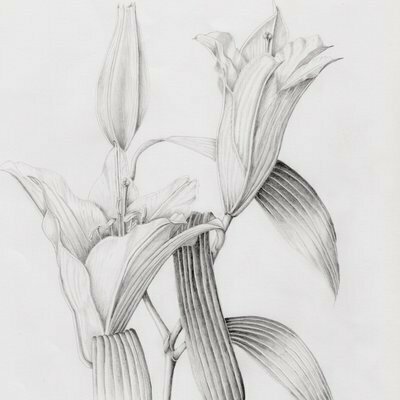 Since retiring I have become primarily a botanical artist, acheiving my diploma in 2012.. 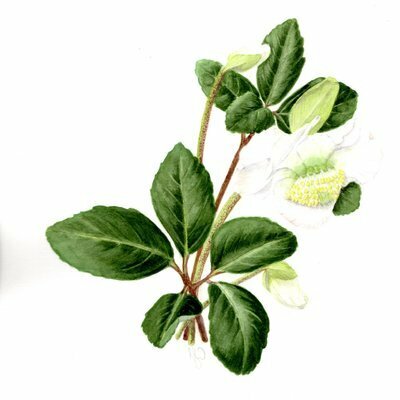 I have since continued to paint with Ventnor Botanical Artists, exhibited with them, other Island groups, the SBA London and at Lymington. 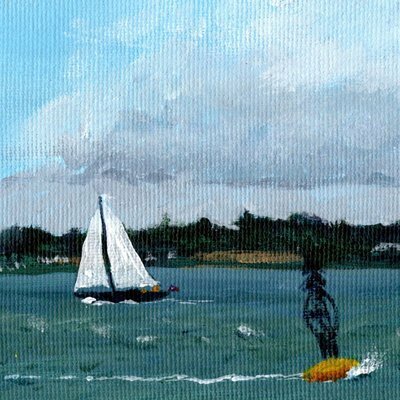 I am also venturing out into the acrylic world and hope to move on from seascapes and landscapes to acrylic flowers. I will always come back to the botanical field as it ties in so well with my love of gardening and plants.